Eric Larson's animation training program, which started in the mid 1970s, was groundbreaking and very important. I was so lucky to have benefited from Eric's one on one mentoring. He was the most patient teacher I have ever known. Even when you knew that what you were showing to Eric was REALLY bad stuff, he always saw something positive in your work that encouraged you to keep going. 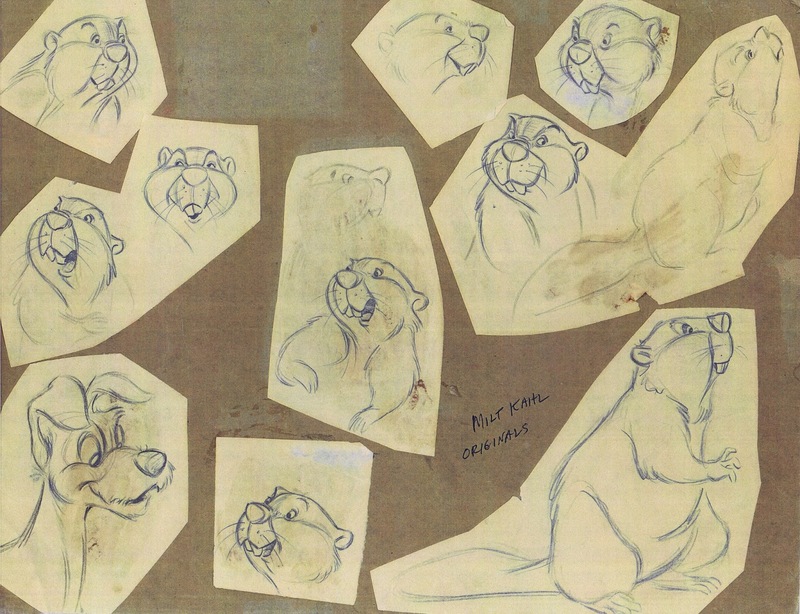 He would often flip a trainee's scene, and most likely he pointed out that there was too much going on in the animation, too many ideas. What is your statement here, what are you trying to communicate? After a brief discussion Eric would pull out drawings that weren't necessary, and he simplified and clarified your whole scene. It was magical to see him do this. Eric also drew over poses and strengthened them, so by the time you were done with your session you left Eric's office with something that WORKED. 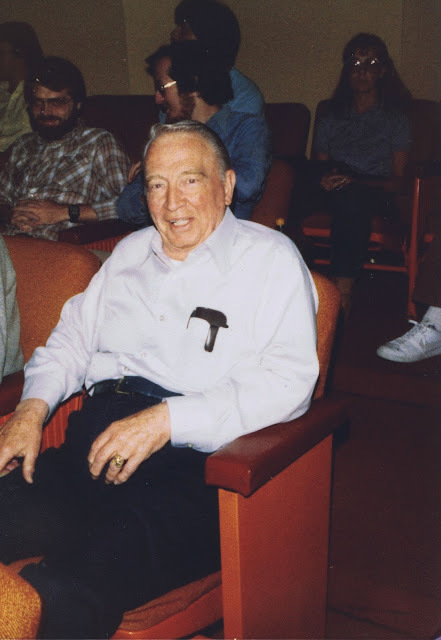 This photo above was taken in the early 1980s in a screenting room of the original animation building. In the back are Ron Clements and John Musker, and there is also animation assistant Sue Frankenburger. 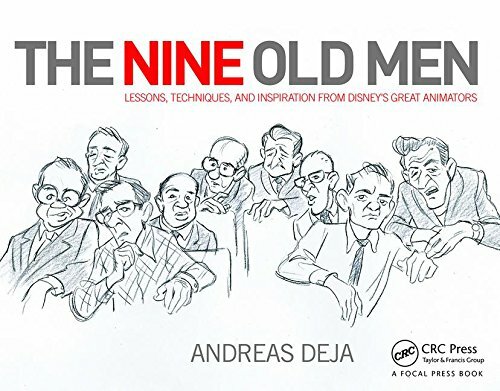 Many of today's influential animation artists went through Eric's training program, including Tim Burton, Brad Bird, Ron and John, Mark Henn, Andy Gaskill and Glen Keane, just to name a few. I love many characters Eric animated over the years. 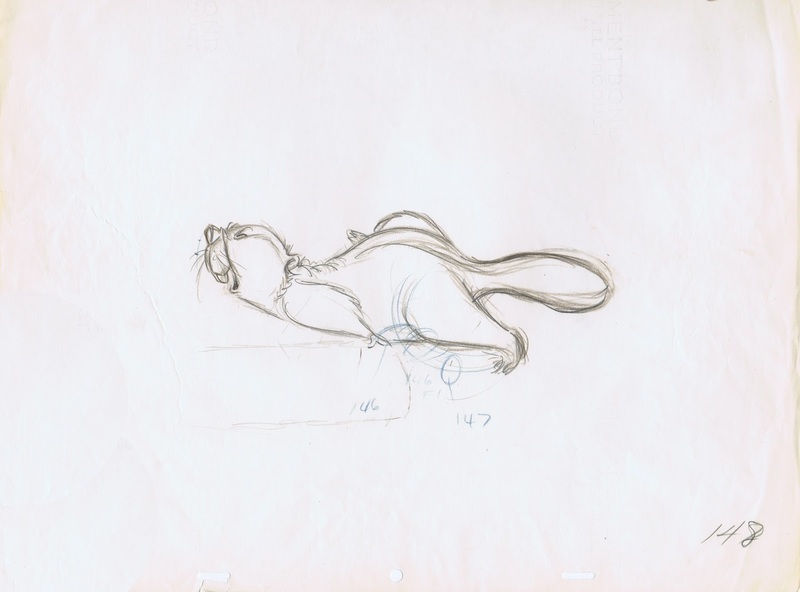 Figaro from Pinocchio, the flying horses in Fantasia, the Owl in Bambi, Sasha from Peter and the Wolf, Little Toot, Joe and Jenny from Once Upon a Wintertime, Roquefort from The Aristocats among many other assignments. 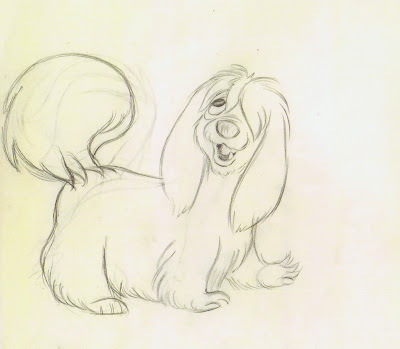 But I think that Eric did some of his best work for Lady & the Tramp. 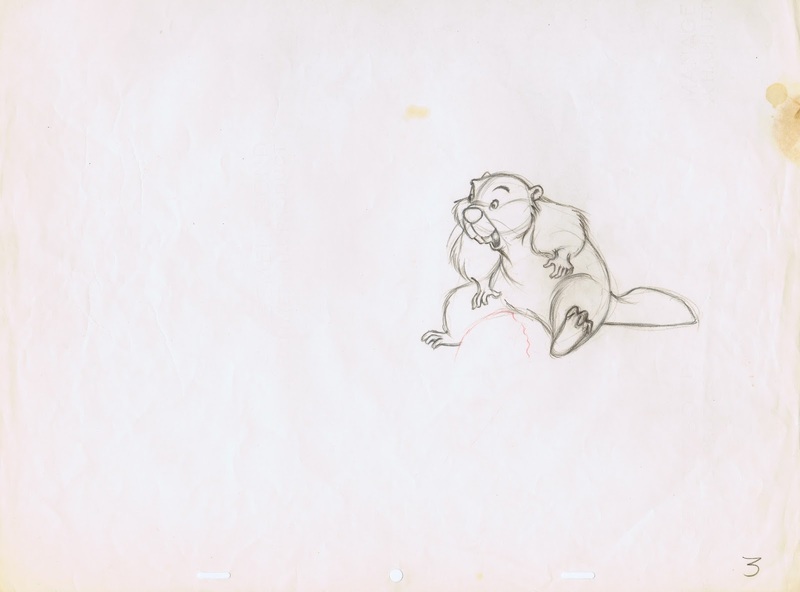 He animated the first half of the sequence with the beaver at the zoo. 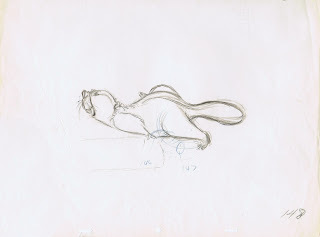 Milt Kahl did the second half. These drawings might not be a stunning as Milt's, but Eric's acting is top notch. The effort the beaver puts into trying to move a big log into the water is so entertaining and believable. Whoever wrote on the made up model sheet that these are Milt's drawings is wrong. 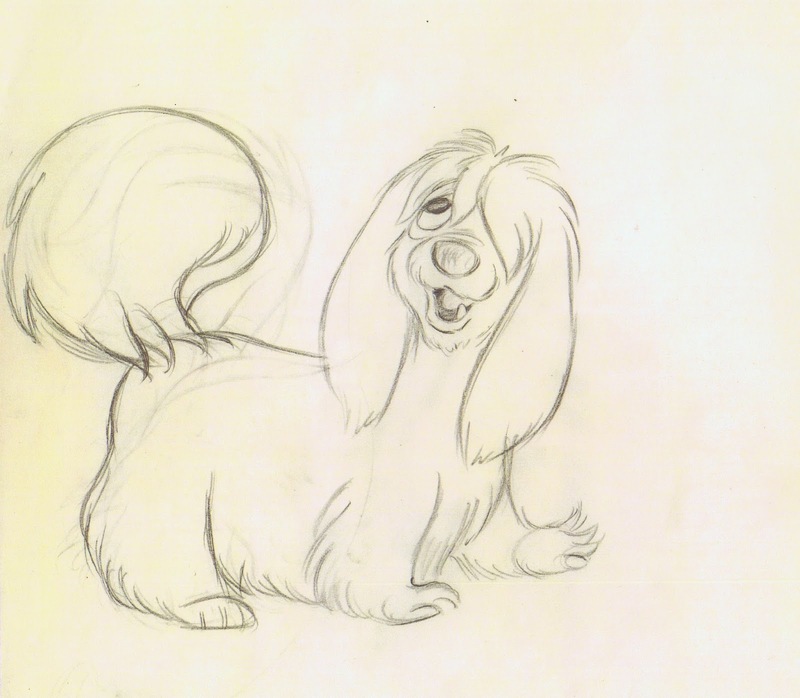 Eric's shining moment in the film is his animation of Peg. 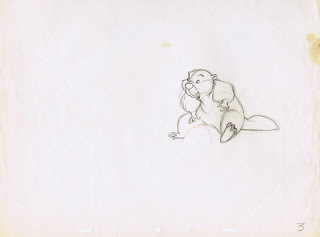 I swear, Milt Kahl told me that he believes it's the best stuff in the picture.